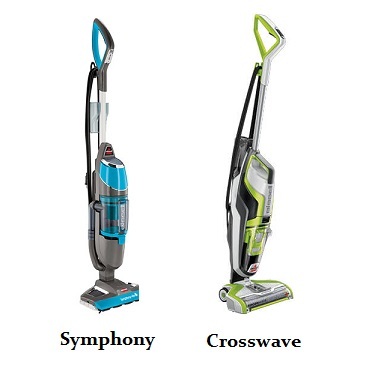 Bissell Symphony Vs Crosswave – Which Is Best For Your Floors? Bissell is one of the biggest names in the vacuum industry and they are known for building affordable cleaners for the more budget-minded consumers. Their lineup is full of uprights, canisters, lightweight stick vacs, and other specialty models like the Symphony and Crosswave. These two machines are traditional vacuums by any means but are more designed for cleaning your hard floors and area rugs so the surface looks like new. While they can produce similar results they operate very differently from one another. Here we will highlight the differences and tell you where they work best so you can decide which one is right for your home. From looking at these two multi-purpose floor cleaners it is easy to see the differences. The Crosswave has a more traditional vacuum appearance, resembling a typical lightweight upright but the Symphony is narrower and looks more like a steam cleaner. Without trying to describe in too much detail how each one differs in looks, here is a side by side picture of the two contenders. The Crosswave costs a little more, typically around $249 at full price but you can find it on sale often as it is one of their most popular vacuums. The Symphony is slightly cheaper and can usually be purchased for somewhere in the neighborhood of $179. This would give it the slight edge in the price category but since these models differ in what they are designed to do (which we will highlight next) it’s a bit unfair to knock the Crosswave for being more expensive. However, it is important to note this difference in any fair comparison since this could be the deciding factor. 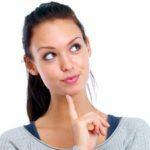 Which One Is Best For Cleaning Hard Floors? Both the Bissell Symphony and the Crosswave are designed for cleaning all types of hard floor surfaces. 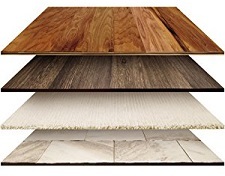 They are listed as safe for sealed wood, tile, laminate, linoleum, and more. The main difference between them is the way they go about washing the grime off of the surface. The Crosswave is what you would consider more of a traditional floor cleaner that uses a cleaning solution mixed with water to remove dirt and grime. While there are two tanks (one for water and one for the solution), they work in unison to do the job. The specially designed brush roll spins at a high rate of 3000 RPMs and can pick up debris as well as shine the surface in a similar way to a sponge. The Symphony is a steam cleaner that uses no separate cleaning solution, just water. This lets you natually sanitize the floors to remove hidden germs and bacteria without applying any harmful chemicals. And according to The Allergy Consumer Review, drying time is MUCH FASTER since you are leaving less water behind on the surface. It is an eco friendly way to get your floors to look like new but it does take some practice to get used to the steaming process. As far as which one is best for hard floors it depends on what you are looking for. The Symphony is cheaper to operate since you only need to add water but it does take some getting used to before you really master using it. It also leaves behind a dryer surface so you don’t need to worry about slipping or streaks as much as you would with the Crosswave. The Crosswave would work better on tough messes that require scrubbing, especially high traffic areas. But for basic hard floor cleaning only the slight advantage goes to the unique Symphony. Click here to visit our recommended supplier to check availability on the Symphony today. Do Either Of These Bissell Models Clean Carpets? Only the Crosswave is engineered for area rugs and some carpets. It operates like a standard vacuum with a spinning brushroll that can pull dust out of a carpet, though it isn’t really designed for thick or high pile carpets. It works well on area rugs and low pile carpeting that doesn’t soak up the water as you pass over it. You can return an older looking rug to like new condition without having to rent a cleaning machine. It is highly versatile and has extremely high ratings from many online consumer reviews we have found. The Crosswave is a high quality, dual purpose cleaner that is perfect for the modern household with a variety of floor types. To price out the Crosswave at our recommended online supplier, click here to visit their website.